Fans of the AMC show are crying foul over the claims though. 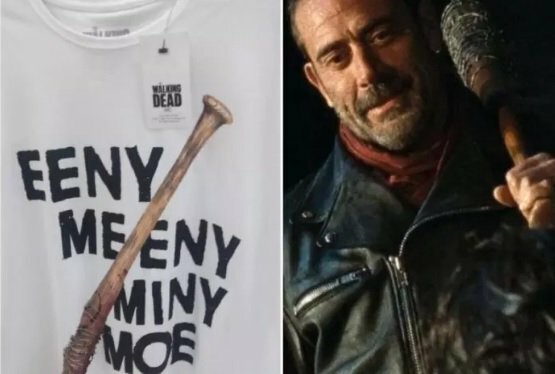 Primark has been forced to remove a Walking Dead t-shirt from its stores amid accusations that it is, in fact, racist. 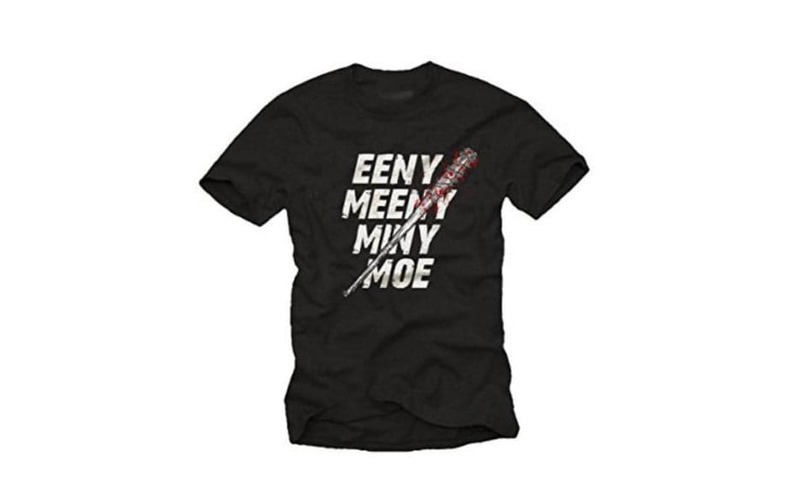 The shirt in question features the words “Eeny Meeny Miny Moe” alongside a picture of a bloodied baseball bat. It all started when Primark customer Ian Lucraft spotted the item with his wife and decided to take his complaint to local newspaper the Sheffield Star. “We were shocked when we came face to face with a new t-shirt with a racially explicit graphic and text,” he explained. Now, as any fan of the US TV show will tell you, the quote and the accompanying imagery is a reference to the villainous character of Negan, played by Jeffrey Dean Morgan. At the start of the seventh season of the zombie drama series, Negan decided to play a spot of “eeeny meeny miny moe” with the main cast of characters. Whoever was left with the baseball bat pointed at their face when the final “moe” came around was dealt a fatal blow, with the resulting carnage ending with two much-loved characters being killed off. As a result, any fan of the show spotting the t-shirt would immediately know the reference and that the lyrics of the old rhyme used by Negan. 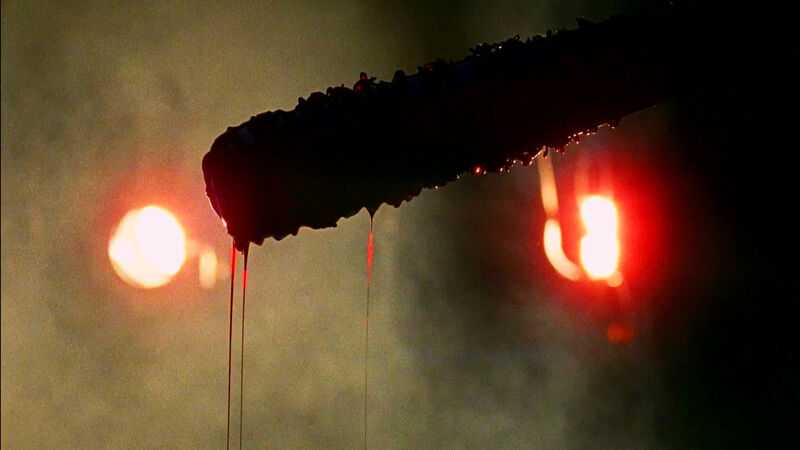 More importantly, they would recall that the version Negan says in the show replaces the n-word with tiger – a version pretty commonplace in society. In fact, the version featuring the n-word is just one of several in existence and has been largely consigned to history – until now. Lucraft nevertheless lodged an official complaint with the store subsequently moving to remove the offending item from sale.